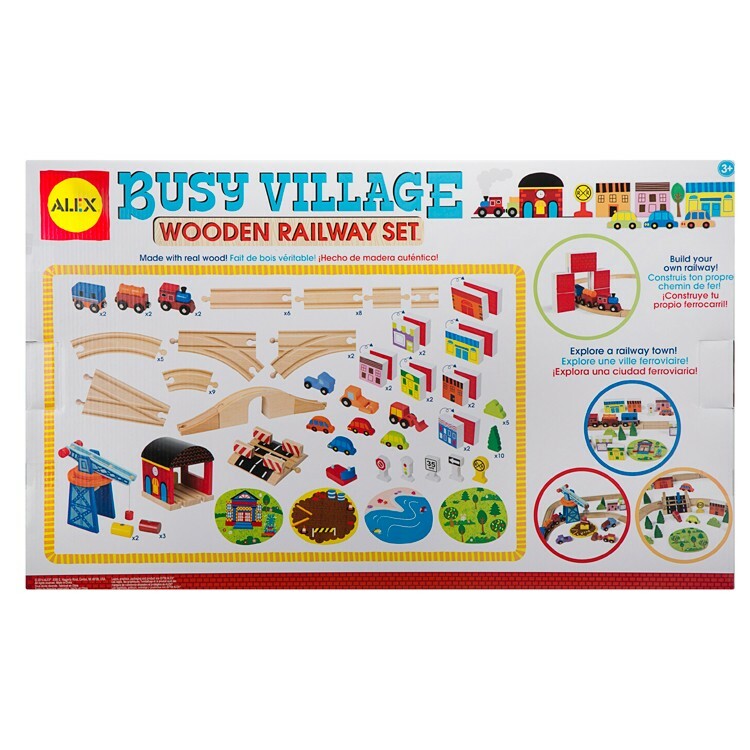 Busy Village Wooden Railway 100 pc Train Play Set is a new Alex Toys' railroad set that comes with everything your little train lover needs to organize a pretend play town. 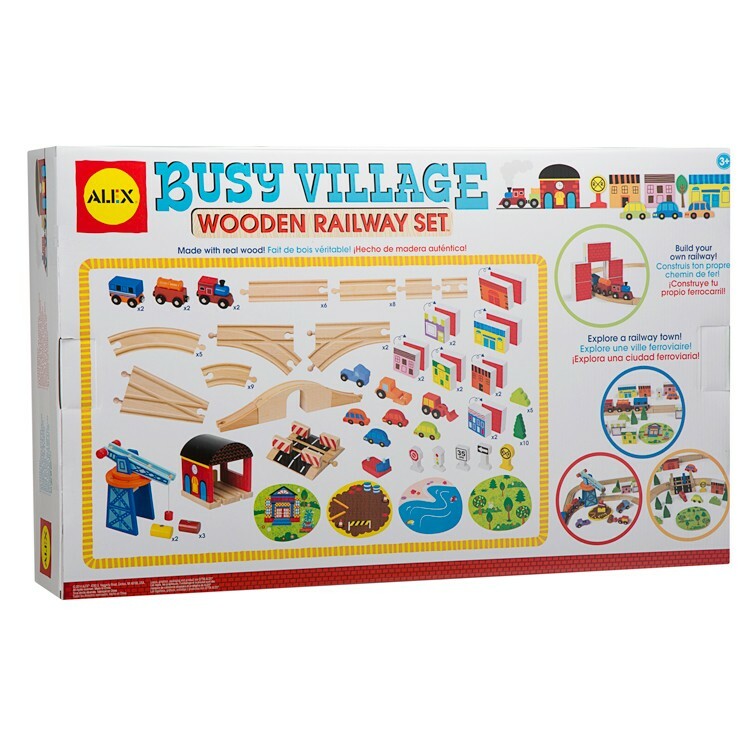 With this Busy Village your preschooler is guaranteed to be busy for hours! 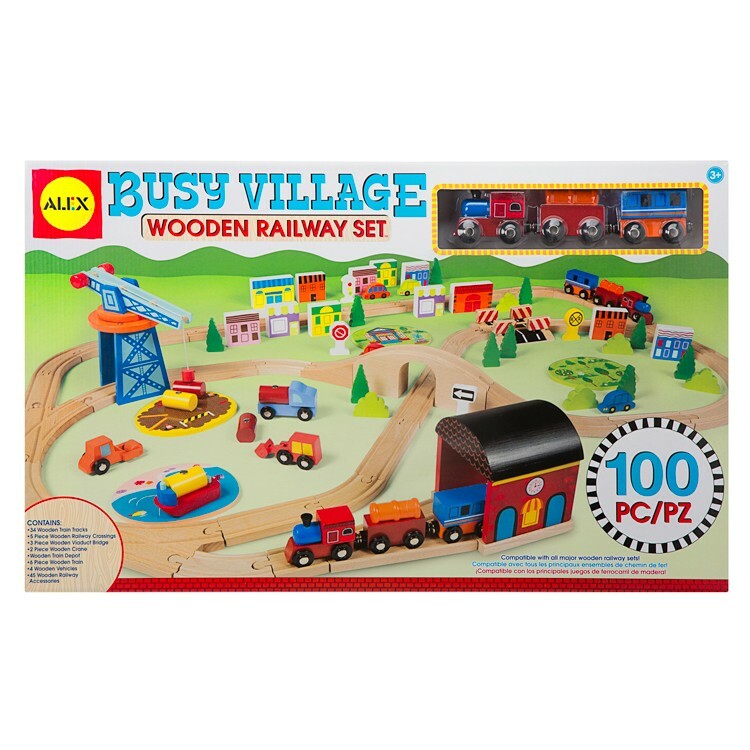 Busy Village Wooden Railway 100 pc Train Play Set is a new Alex Toys' railroad set that comes with everything your little train lover needs to organize a pretend play town. 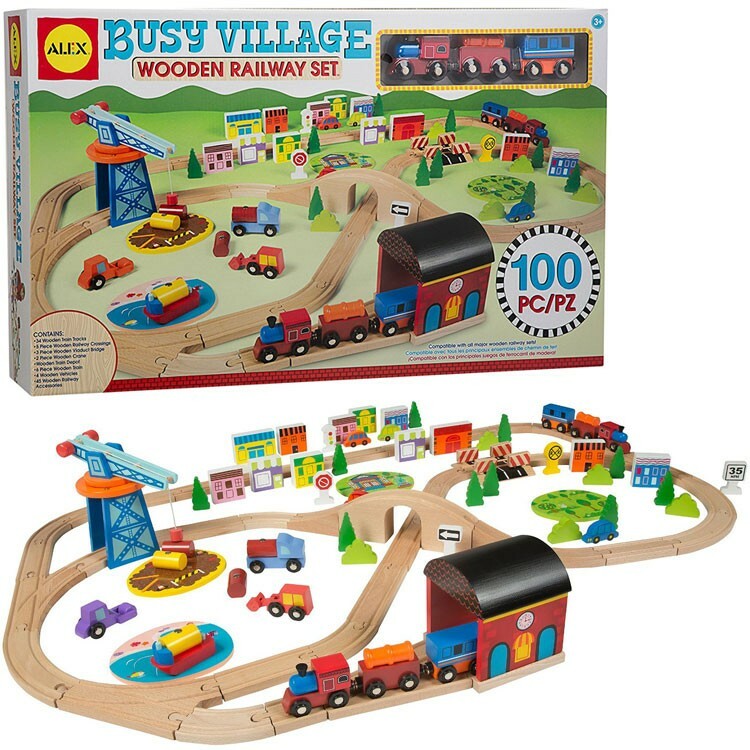 With the various rail track, magnetic toy vehicles, and dozens of play pieces, your child will love to build his own railroad town. 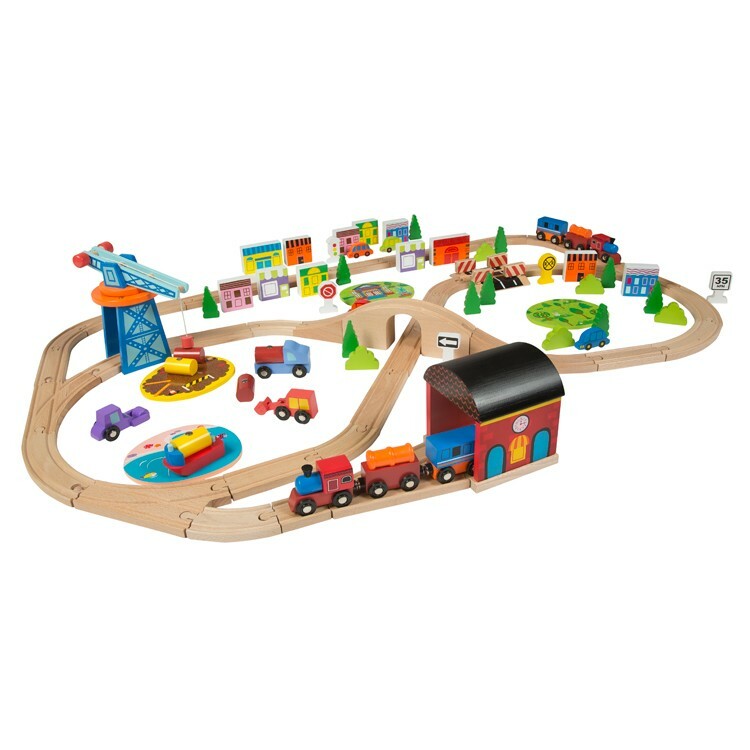 The preschool train activity set contains 34 real wood tracks, 5-pc railway crossing, 3-pc viaduct bridge, 2-pc crane, toy train depot, 6 train cars, 4 play vehicles, 45 railroad accessories and easy assembly instructions. 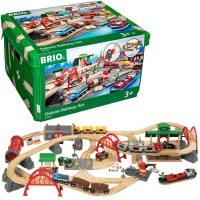 The best part of this train toy set from Educational Toys Planet is that parents do not have to buy any trains or tracks separately, it comes with all the fun plaything included. 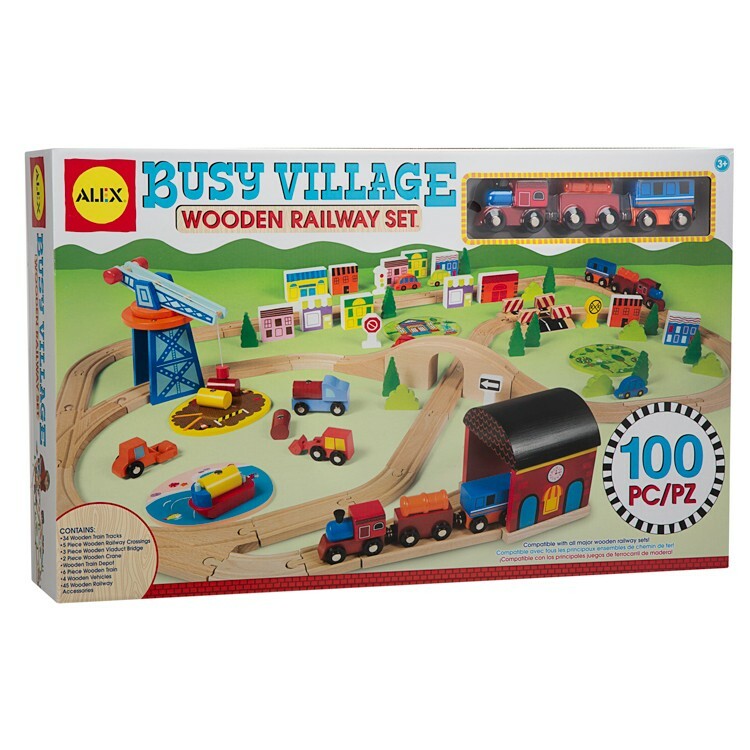 Busy Village Wooden Railway 100 pc Train Play Set is compatible with all major wooden train sets that makes adding play accessories easy. 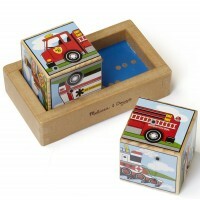 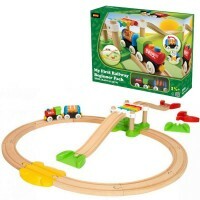 This kids deluxe train play set is made of quality wood and kids-safe materials. 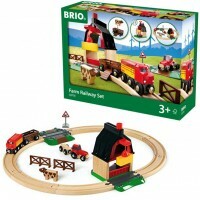 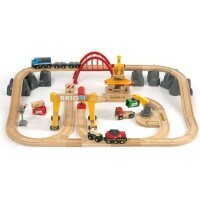 This super sized wooden railway set is a deluxe gift for any young train lover. Dimensions of package 5" x 26" x 16"
Write your own review of Busy Village Wooden Railway 100 pc Train Play Set .